Selecting a CPA in the state of Indiana is an important decision for your business and personal life. In this post, we’ll offer a few tips for making an informed decision. Start the CPA selection process by making a list of your accounting needs. Do you own a small business? Do you only have annual personal income filings? This step is important because you need to match your needs to what an accountant can offer. Some CPAs specialize in personal income taxes while others prefer to work with small business accounting. By referring to your list of what you need from your accountant, you can assess whether or not a CPA is a potential fit for you. You can make sure a CPA is licensed in the State of Indiana using this free search tool. The Indiana CPA Society also offers a search option on their website that allows you to filter your search by region, expertise, and more. Word of mouth referrals from those you trust most can be one of the most effective ways to find trusted accounting services in Indiana. Ask for personal recommendations to help you make this important financial decision. You can also ask for recommendations from your local Chamber of Commerce or while attending networking events in your area to help you create your list of candidates. Based on your online research and personal recommendations, make a list of possible candidates to consider. With the help of your accounting needs list, it should be easy to determine whether or not it’s worth having a conversation with a potential CPA. Narrow your list to 3-5 top candidates. Reach out to your candidates to schedule an initial consultation. If the CPA won’t talk to you or asks that you commit to services before you talk to them, continue your search. Ask questions during your consultation. What fees will the CPA charge? Will they review your past returns without an additional fee? Do they have experience working within your industry? 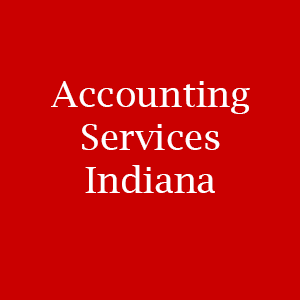 Selecting accounting services in Indiana is one of the most important steps you’ll take both personally and professionally. After speaking with your potential CPAs, determine who made you feel the most comfortable about working together based upon their knowledge and expertise in the field. Searching for top notch accounting services in Indiana? The Baker team provides accounting services for individuals as well as small business owners. From bookkeeping to tax preparation, Baker Retirement & Wealth Management, PC is here for all of your accounting needs. Our team has been providing accounting services in the greater Evansville area for nearly three decades. Stop by our office or give us a call toll free at 1-866-244-3517 to get answers to your accounting questions today.